Emily and Shannon were married atop a gently sloping hill at Vine Hill House, overlooking acres of O’Connell vineyards. There was just something special about this wedding that it was hard to put your finger on. Was it the buzz of eager anticipation in the air? Was it the warm, genuine hugs from the family and friends that flooded in with broad smiles on their faces? The constant soundtrack of laughter that enveloped you everywhere you went? Or was it just Emily and Shannon, who seem to have touched so many people with their generosity of spirit and sweet love story? When two people so clearly in love come together to celebrate their commitment to one another, with the resounding and enthusiastic support of their friends and family, it makes for a magical and emotional day. As a photographer who is just as inspired by capturing the connections between people as by the art of light and composition, Emily and Shannon’s wedding was like a candy-shop of sweet opportunities to do what I love most – and best. 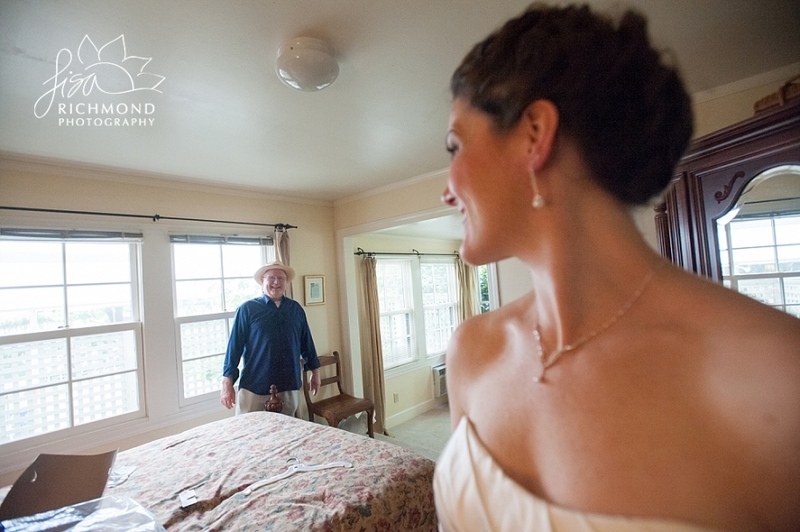 This was the first time I have shot a wedding at the Vine Hill House and I want to say – wow! What a location. I loved the gorgeous ceremony site with a canopy of trees and a view to the valley below, and the opportunity to capture quiet moments in the vineyards with my two brides. Best of all, however, was the attention to detail by Dan and Jill O’Connell themselves, who personally made it their sole mission to ensure that everything was executed perfectly for Emily and Shannon – right down to holding the ceremony up a few extra moments to ensure that the light would be perfect for photos. I love a venue owner who pays attention to the light and timing of it throughout their location. Thanks to Dan for providing me with some spot-on tips that made for a much smoother day for everyone. Brought me right back to that very special day. Honored to be a part of it. Photos captured the spirit of elation and love that suffused the entire experience. Splendid !! Simply Splendid. These pictures capture the detail, the love, the mood, and the scene. I love these beautiful pictures! Brought back all th love we all felt on that glorious day! These shots really show that love. These pics are really terrific, and a great teaser… Can’t wait so see the full package!!!! I’m smiling ear to ear looking at these shots!!! The entire day was just “glorious” and you captured it so perfectly! I can’t wait to see the rest! Got to see this because Michelle McDaid is a good friend of mine, and she posted it. I have to tell you that these photos made me cry, the love and laughter jumped right from the photos and into my heart. Fabulous.